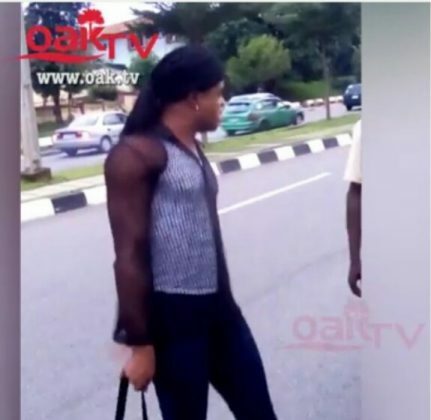 A G.ay passenger took his hustling to the street but got the wrong person and landed in serious trouble. 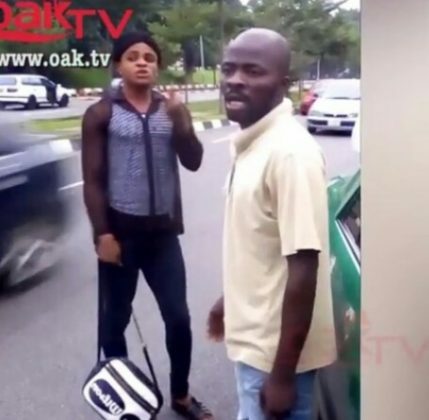 According to reports, the passenger displayed on the street after the driver embarrassed him for touching him while driving around Wuse, Zone 4. Narrating the scene to OakTv, the cab driver said “the guy stopped me, he told me I should take him to heritage and we agreed on N500 for the fare. Later he said he wanted to sit in the front and I allowed him.At the front, he started touching me, he said everywhere dry, make I go feel you? After all the drama, we heard that angry mob descended on him but the police officers came to his rescue.